What a wonderful year 2018 was for our little club. As always our major events for the year were a great success receiving lots of positive feedback. We kicked off the year with another successful Australia Day Fun Run (our 25th! ), our last coordinated by the incredible Whitfield Family who have organised this run for so many years. Thanks again to the Whitfields for all their hard work. 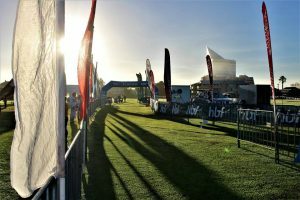 April once again brought about our HBF Three Waters Marathon. 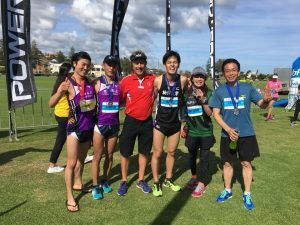 Earlier in the week we greeted our Setagayan runners Atsushi, Takashi, Gaku, Ayumi and Takeshi. They were treated to a tour of Bunbury and the South West. The event went off without fault and the sun even shone for the runners this year! Congratulations to our Japanese guest Gaku on winning the marathon in a flying 2 hours 42 minutes. 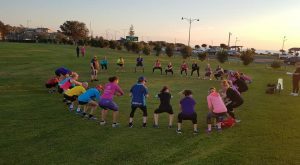 Later in the month, the club organised our very first 2.5k and 5k fun runs supporting the inaugural Bunbury Geograpge Gift. While the event was relatively small, the refreshing track around town and up Victoria Street proved popular with all participants. We hope to see this great event grow over the coming years and look forward to continuing to work with the Bunbury Geographe Gift event coordinators. The 12th Women’s Fun Run organised by our dedicated group of ladies was once again a hit with 50 runners in the 10k and 288 in the 5k! 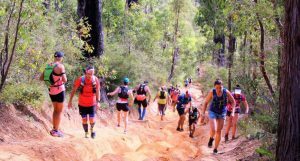 Every year this wonderful event provides a safe place for ladies to run and socialise. The Fathers Day Fun Run in early September is an event still in its infancy, however the laid back approach with no official timing but rather a run to enjoy with the men in our lives is becoming very popular. In November club members Christine and Pauline flew to Japan to run the Setagaya Half Marathon. The ladies had a wonderful time learning about Japanese culture and running in the half marathon. Our juniors started up again and ran for three of the four terms and was very successful (it seems in the cold of winter these youngen’s aren’t marathon runner though just yet!). Thanks to Cara for teaching the children to love running as much as we do. 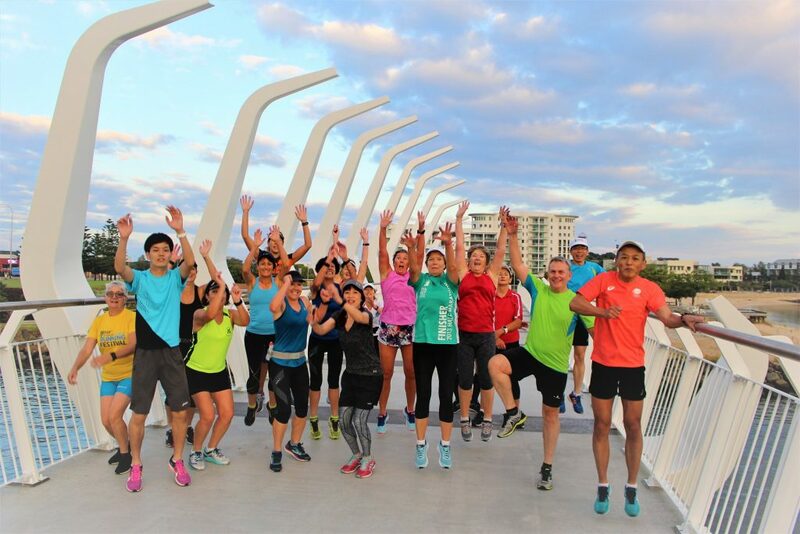 Our dedicated club members participated in a number of events across the state and country including the Australia Day Ultra, Busselton Half Marathon, SWAS Fun Run, Trails N Ales, Pemby Trail Fest, HBF Run for a Reason, Elleker Half Marathon, Salt Lakes City Limits, Perth City to Surf, Perth Marathon, Weipa Marathon and Half, Bunbury Surf to Surf, Fremantle Half Marathon, Rottnest Marathon, the Sandman beach run and the 6 Inch Ultra Marathon. 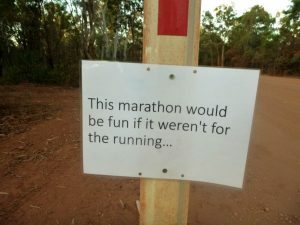 Many group runs and events were organised for any occasion that could be considered an excuse. These included the annual Dalyellup mob run, a blue moon run and a club fish and chips night in January, our annual Honeymoon Pool marathon training run and a secret surprise club run in February, our annual Atheletes Foot Watchless Run and a track evening at Hay Park in March, a new Koombana Bay run in April, the Brian Kennedy Parlouf Relay and club representation at the Conquer Cystic Fibrosis ball in May, a Sanctuary Golf Course run in July, the Keiran Boothman Watchless Run in August, we were trained by Sarge of Original Bootcamp in September, our presentation night in October, a sundowner at the Hollow in November as well as our annual Christmas Toy Run and Christmas day run in December. Honorable mentions for running injuries and falls this year go to Kevin Martin, Tony Minards, Jasmine Gibbs and Liz Larkin – keep up the great work guys!! It’s almost hard to believe one little club could do so much in a year. We are certainly expecting an even bigger and better year in 2019. Keep checking back here for more Adventures of the Bunbury Runners Club!